Dr. Richard W. Moore DDS, ABDSM , a general dentist from Vancouver, Washington is a 1977 graduate of Northwestern University Dental School. He has lectured widely throughout North America since 1993, on the topic of dentistry’s role in the management of the airway. 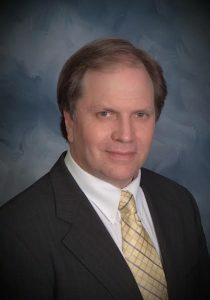 An early member, he was elected to a three-year term (1996-1999) on the board of directors of the (ADSM) Academy of Dental Sleep Medicine (www.dentalsleepmed.org), an international society dedicated to the dissemination of current information in this growing field of dentistry. He also served as the Chairman of the Corporate Relations Committee. 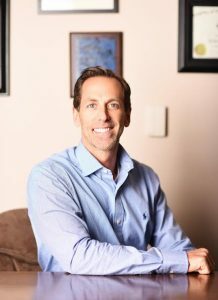 Dr. Richard Moore DDS, ABDSM is a Diplomate of the American Board of Dental Sleep Medicine. Efforts of the ADSM have resulted in concurrent international meetings with the Association of Professional Sleep Societies annually in June. The ADSM has members on standing committees of the American Academy of Sleep Medicine. Dr. Zelk DNP, FNP, BC, CBSM, DBSM is double board certified in Behavioral Sleep Medicine. He is a nationally known speaker on sleep disorders and cardiovascular disease. He has been an invited expert for sleep disorder related articles for the Nurse Practitioner, Journal of the American Academy of Nurse Practitioners and other periodicals. Dr. Joeseph Zelk DNP, FNP, BC, CBSM, DBSM is active in the development of novel mandibular advancement devices to help promote the field of oral appliance therapy for OSA. He leads the charge at The Sleep Medicine Group to be forefront of both oral appliance therapy and hybrid therapy of oral appliance/with positive airway pressure therapy. He has also co-developed an Interdisciplinary algorithm for the treatment of obstructive sleep apnea and complex sleep apnea.